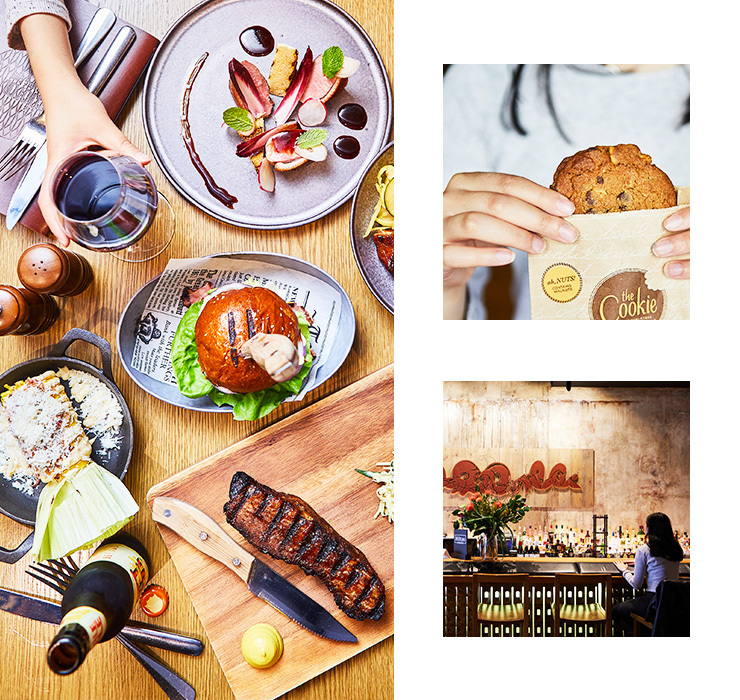 Melbourne is a special kind of lover—a lil’ rough around the edges, but dig deeper and you’ll find a generous, Nutella-loving, fried-chicken-obsessed soul. Whether you’re looking to celebrate an occasion (or: you’ve messed up), here is the Melbourne guide to having the most romantic Melby staycation. Choose a suburb that’s a total treat. If you love grungy street art and pop-ups, Fitzroy or Collingwood are some of the best creative hubs in Melbourne. For luxury spa treatments and the finest pampering salons around, South Yarra and Windsor are great spots. But if you want to be in the center of it all, treat yourself to an overnight stay in the CBD. If a hotel with a cookie drawer at reception sounds like the dream, we’ve got the room for you. DoubleTree by Hilton Melbourne Flinders Street know how much travelling can take a toll…even if you’ve only taken the tram five stops from Carlton (it’s Metro, everything is a chore). Upon check-in, you’ll receive a warm (WARM!) welcome cookie from the literal cookie drawer, which is kept heated for the perfect melted chocolate to chewy cookie ratio. The lobby interior is designed as a nod to Melbourne's grungy, urban laneway culture and is inspired by its famous next door neighbour, Flinders Street train station. Highlight features include the lobby “light- bombing” artwork made from thousands of matchsticks and stunning, curved, custom engineered bed headboards in every room. Along with an on-site gym where you can entertain the idea of working out for the first time in approximately 25 years, rooms are positioned directly across from Flinders Street station and Fed Square for the most Instagram-friendly views. If you’re in an established relationship, head to Belleville which is tucked into Globe Alley. You can get messy with sticky fried chicken (where you can paint on hot sauce) or to-die-for poutine. On the other hand, if you’re more of a drinks-first-food-later pair, 1806 cocktail bar is our pick. Pasta fans can head to Tipo 00 for squid ink spaghetti, and we won’t judge you for pulling a Lady and The Tramp. Better yet—don’t leave the hotel and dine at the on-site restaurant Platform 270. Highlights of the menu include a romantic charcuterie plate for two (or one, depending on how much you like cheese). Be sure to order the signature sticky short ribs, Angus burger or mussels piled with fresh herbs. There's also a bar area with a boutique wine, beer and cocktail list. Melbourne’s got a wealth of speakeasy’s, hidden cocktail lounges and rooftop bars. Make sure you pop into the likes of Glamp Cocktail Bar (a cocktail bar housed in an indoor glamping tent), or Bomba for skyline views. As much as we love you Melbourne, nothing is more of a mood-killer than arriving at brunch to find it’s a two-hour wait for the one-person bar table. Make sure you add the breakfast buffet to your stay instead. If you absolutely can’t go without brunch, queues and all, head over to Manchester Press to snag a corner table and some Lobster Benedict. Cutler & Co is a never-fail classic (how can you go wrong when there’s freshly baked Madeleines on the menu? ), while Om Nom’s pretty-as-a-picture berry pancake will keep the romantic levels high. 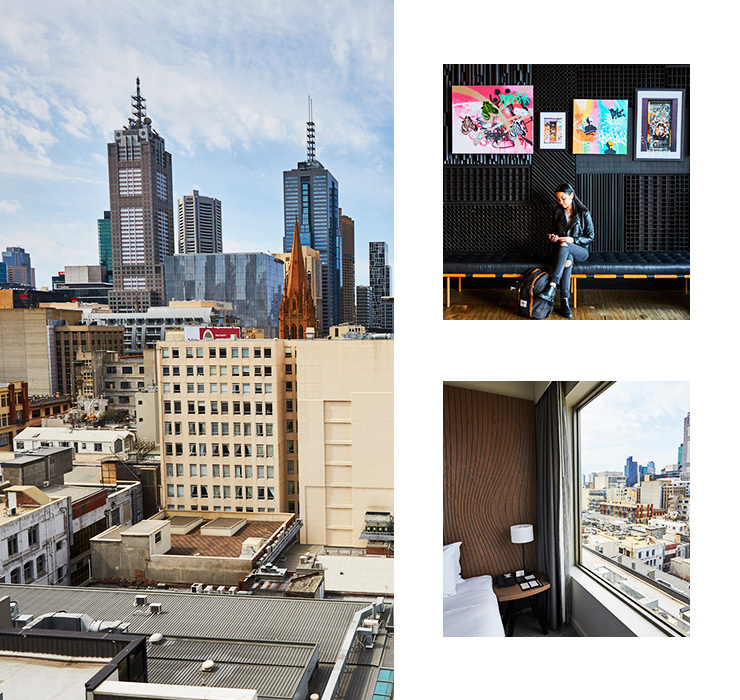 Book your stay at DoubleTree by Hilton and have yourself an awesome weekend in Melbourne. Got a weekend to fill? For availability, click here. Editor's note: This article is proudly sponsored by DoubleTree by Hilton and endorsed by The Urban List. Thank you for supporting the sponsors who make The Urban List possible. Click here for more information on our editorial policy.